Even short term use of sleeping pills more than double risk of hip fracture. Pursue alternatives! Medications such as benzodiazepines (like lorazepam, alprazolam, etc.) and non-benzodiazepines (like ambien, zolpidem, etc.) have many potential harmful side effects, one of which is hip fracture. A recent systematic review and meta-analysis of 18 high-quality studies showed that short term use (less than 14 days) of these medications was associated with an increased risk of hip fracture 2–3 times normal. These findings are significant in view of the short and long term disability, loss of independence, and much higher risk of dying associated with hip fractures. Sleep problems are generally fixable, and the goal should be both improved sleep with better long-term health. 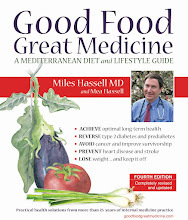 For some suggestions for better sleep see pages 56–57 of Good Food, Great Medicine, 3rd edition. If your insomnia doesn’t improve, schedule a consultation with a health professional. Finding a drug-free solution to a good night’s sleep is worth the effort! Even short-term and low-dose corticosteroids (like prednisone) carry significant risks – explore alternatives! Whenever steroids are recommended, don’t assume they are essential; ask your doctor exactly how important they are and whether you can recover without them. Most of the time steroids are prescribed for problems which are self-limiting, so will get better (eventually) even without steroids. If you must take steroids, ask for the lowest reasonable dose for the shortest possible time. Explore all possible alternatives, and take extra care to make the food and lifestyle choices that will give your body the best chance to heal. For information about anti-inflammatory steps to take, see our August 2016 newsletter.